Our working model which was adopted as a result of many years of experience provides a guarantee of high quality product appreciated by clients in whole Europe. 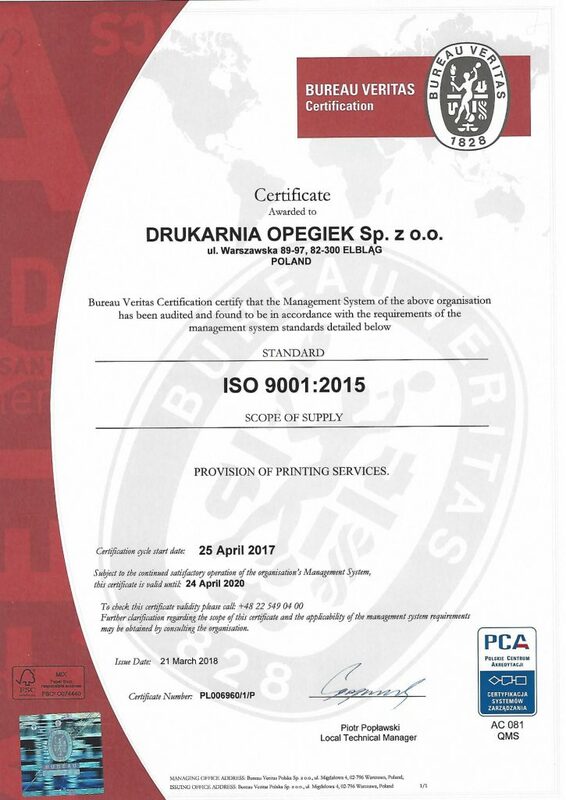 DRUKARNIA OPEGIEK Ltd. has got the certificate of Quality Management System ISO 9001:2015 since 2005. The effectiveness of the system is successfully verified by annual audits carried out by BUREAU VERITAS POLAND Ltd.